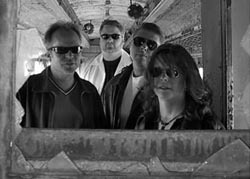 CRAVE, in it's present line-up, formed in April 2002. The current members combined have approximately 50 years of musical and stage experience. The band plays covers spanning more than four decades. An audience may hear some things dating back to early Yardbirds, and the newest alternative in the same set. CRAVE prides itself on playing the best of songs, without subjecting thier audiences to the same songs played by every other cover band. Being sensitive to the fact that people expect to hear certain songs while listening to a cover band, they strive to keep it interesting, with deep cuts off old favorite albums, and speculating on the newest hits.